Un cambio a tres bandas en la NBA, involucran a Bucks, Cavs y Wizards. The Cavs sent George Hill and two future rounds of Draft 2021 to the Bucks in exchange for Matthew Dellavedova and John Henson. In addition, Sam Dekker to Bucks, who in turn was traded to the Wizards in exchange for Jason Smith. 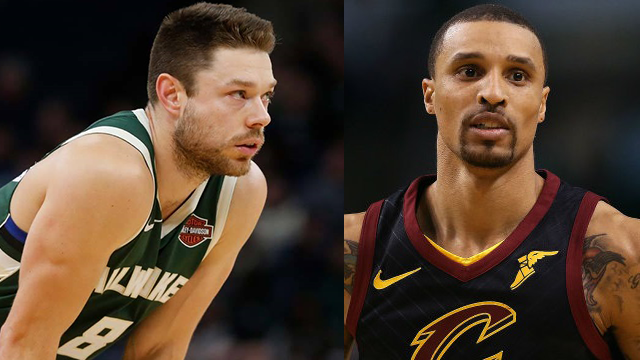 Los Cavs mandaron a George Hill y dos futuras rondas del Draft 2021 a los Bucks a cambio de Matthew Dellavedova y John Henson. Además, Sam Dekker paso a Bucks, quien a su vez fue traspasado a los Wizards en intercambio por Jason Smith.